Laptop screens are fragile and, they are often prone to damage. In fact, you don’t even have to drop your laptop to break the screen. Sometimes, just gripping the screen too tightly can cause the display to break. Though the process can seem daunting at first, laptop screen replacement is far easier than you might think. In fact, some of our customers have managed to complete their repairs in just half an hour! 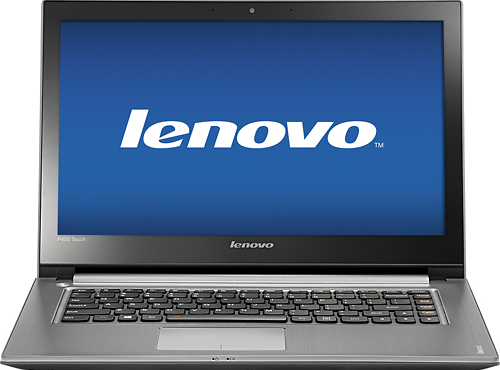 Below we provide detailed instructions that will help guide you through the replacement of your Lenovo laptop screen. Firstly, remove your laptop’s battery and unplug it from the mains power. Next, remove the screws holding the bezel, (or the plastics surrounding the screen,) in place. Note: there may be a number of screws located along the sides of the bezel, so, proceed with caution. When you are sure you have removed all the screws, gently remove the surrounding plastics and set them aside. Next, locate the inverter at the bottom of the damaged Lenovo screen. Disconnect the cable that connects the inverter to the body of the machine. Once you have done that, remove the screws that hold the broken Lenovo screen in its metal holding frame. Gently pull the top of the screen towards you and disconnect the large cable connected to the top. Don’t be concerned if you find that this cable is held to the back of the screen with tape; simply remove the tape and you should be able to lift the broken Lenovo screen free from the machine. Once you’ve removed the damaged screen, fit the replacement by re-attaching the cable, (using a fresh piece of tape if required,) that was connected to the top, (and back,) of the old screen. Then replace the screws that were holding the broken Lenovo screen into the metal holding frame, ensuring that the new screen is positioned correctly. Next, re-position the inverter and screw the front bezel back into place. You’ve now completed all the steps required to replace a broken Lenovo laptop screen. Congratulations!